The following article covers in-depth plot points from the game, Firewatch. In early 2016, Firewatch debuted on the PS4 to public and critical praise. Developed by Campo Santo, it was a first-person adventure in which the player took the role of Henry, a man whose wife was suffering from early onset dementia. Firewatch took place within the wide confines of Shoshone National Forest, a part of the greater Yellowstone area. During that time, Henry’s only companion is Delilah, his supervisor with whom he becomes acquainted over radio communication. Firewatch won Best Narrative at the 2017 Game Developers Choice Awards, so it’s worth examining what made the story such a triumph. First, there are two plot lines occurring simultaneously during the course of the game. The overarching plot that moves Henry from day to day involves a potential conspiracy geared against him and Delilah. As the days roll by, not only is Henry attacked by a mysterious stranger, but he also finds evidence that all his conversations with Delilah are being recorded. This is the narrative impetus that drives the story forward, though its conclusion was less than satisfactory to some players. Let’s just say the resolution of this plot line wasn’t necessarily in keeping with the game’s advertising and vibe. That said, the plot was still a strong one – just maybe not the one people were expecting. A Lookout Tower from Firewatch. However, it’s the second plot line that most people will carry with them and think about long after the game has been turned off. Henry’s arrival in Shoshone is motivated by his desire to escape his circumstances. With his wife’s tragic disease and inability to recognize him on most days, Henry leaves to work in the isolation of the park while his wife is taken by her parents back to Australia. Delilah, like Henry, finds escape by working in Shoshone. It distances her from the demands of the rest of reality. If Delilah and Henry were just well-written characters, there wouldn’t be much to discuss. The skilled author knows what good characters bring to the table: they save even terrible plots, get the audience emotionally invested in what’s happening, and bring natural exposition to the story. The creators of Firewatch, though, don’t simply present us with well-written characters. Rather, they allow for interaction with those characters that can potentially create a significant emotional investment, perhaps deeper than what many people typically feel during the course of a game. From the start, the player is allowed to shape the Henry that they want, which allows the character to reflect parts of the player’s own personality. The opening sequence, which details Henry’s past from the moment he meets his wife to the moment he leaves for Shoshone, gives players the chance to make choices about how Henry handles his circumstances. Does he buy a cute little dog that his wife wants or get a beastly German Shepherd that he’d prefer? Does he choose to see a doctor when Julia begins having symptoms of her disease, or does he try and ignore it? Does he try and take care of her at home or place her into professional care? A Forest Scene from Firewatch. It’s important to note these choices don’t impact the ending of the first plot line. However, the strength in giving players a choice in how they act and respond is important. Giving them that freedom let’s them shape the character to their own personality and helps invest them in that character’s trials. There are two ways that dialogue choices can impact a game. The first way is the traditional method gamers expect because it’s part of a conditioned response. This expectation is that for a choice made, there should be a difference in objective outcomes. You see the demand for this type of choice in games like the Walking Dead, where players become frustrated at the notion that their choices don’t matter at all to the ending. However, the second way dialogue choices impact the game is in the subjective outcome. Allowing a player freedom to shape the Henry they want is important in getting them involved in the story and helping them feel the impact of the larger plot beats. This process of character ‘customization’ is ongoing throughout the entirety of Firewatch, which is why it’s story is particularly impactful. As the game continues, the game continues to give the player chances to create the Henry they want. Their interactions with Delilah can be short and brief or longwinded, emotional, and occasionally sexual. Are you the sort of preson who finds her occasional flirtation off putting? You can play Henry in a way that reflects your outlook, by refusing to answer Delilah’s probing questions or talking around the issue. Henry Taking a Terrible Selfie. Of course, all this requires a second character who is worth talking to. You can give a player all the dialogue choices in the world, but they won’t matter if the person they’re talking to is a cardboard cutout of an individual. Throughout the story, Delilah is portrayed as caring of Henry, but also needy, frequently selfish, plagued by relationship troubles (not all of them romantic), and as a mild alcoholic. This is a layered individual and over the course of your interactions, Delilah’s character is fleshed out as much by your responses as by the things she says about herself. This is where art and the observer meet; Campo Santo wrote an excellent character, but then gave you the space in which to interact with her as you will. In interactive fiction, as in life, how we perceive a person has to do with how we choose to engage with them. In this sense, Delilah isn’t a greater character only because of how true and well written her dialogue is. Instead, she becomes great because of the advantages inherent to this type of entertainment medium. In the space provided by interactive fiction, we can choose to invest, or not. Delilah’s character is heightened by the emotional investment we’re allowed to make in her. Agency on the player’s part is important, because it lets them make the decision to become involved with Delilah. That choice is what elevates her character from good to great. 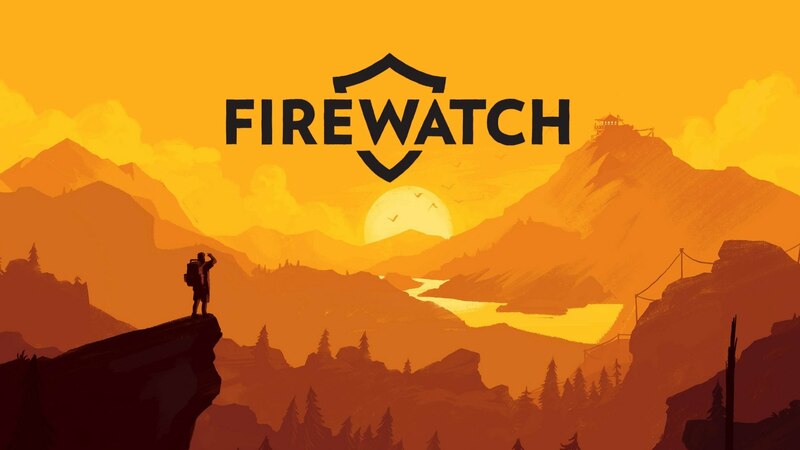 Firewatch is available on Windows, OS X, Linux, PS4, and XBox One. Correction: A previous version of this article referred to the setting as Yellowstone National Park. This has been updated to refer to Shoshone National Forest for greater accuracy.